The new facility in Portland will give entrepreneurs who've been told, 'You should sell this stuff' a kitchen, equipment and help to do that. 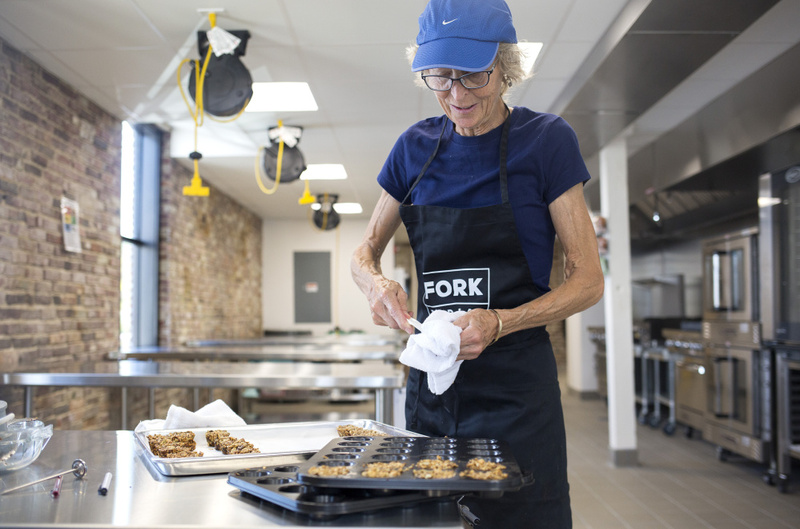 As Christina Morrison busily went about making sweet potato hush puppies and black bean-and-corn cakes in the Fork Food Lab in Portland last week, she couldn’t believe her luck. As a young cook, she watched a lot of food TV and used to drool over the celebrity chefs’ well-stocked kitchens. Now, working as director of operations for her father’s catering business in their new space at Fork Food Lab, that old feeling has come back. WHAT: Grand opening of Fork Food Lab. Public is welcome. This free event will feature food from the lab’s clients, refreshments, live music and a ribbon cutting. On Sept. 27, the 6,000-square foot Fork Food Lab will celebrate its grand opening in West Bayside. But its first clients are already hard at work in the privately owned commercial kitchen incubator and tasting room. 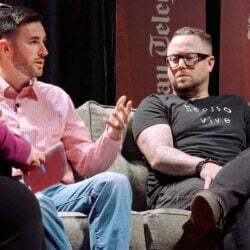 The $1.5 million food lab is the creation of Neil Spillane and Eric Holstein, two young entrepreneurs who hope their project will help propel both Maine’s food economy and the dreams of local entrepreneurs who want to scale up their businesses and see their pies, sauces, sports drinks and puddings on every table. The lab’s clients – there is space for 45 food businesses – pay a monthly membership fee ($500 part time, or $800 full time) for access to the lab’s main kitchen, its “equipment library,” and an adjacent tasting room, where the public will be able to sample their products and provide feedback. Members will also get expert help with marketing, legal questions and advice and regulatory hurdles. Although Maine has other shared commercial kitchens, food entrepreneurs here say they have had a tough time finding one that is affordable and fits their needs. Morrison and her chef father, Brad Morrison, had been working out of a church kitchen, but they were “bursting at the seams,” she said, and in desperate need of more cool storage. She searched for a year for a larger commercial kitchen with the equipment they needed before she heard about Fork. Fork Food Lab offers a number of amenities that aren’t found at traditional commercial kitchens. It will be open 24-7. It will be staffed from 8 a.m. until 10 p.m., and it will have card readers so members can come and go as they please. Got a sudden inspiration for a new cookie at 2 a.m.? No problem. The facility also has a loading dock. The staff will receive shipments of ingredients and put them in storage so the members don’t have to worry about being on site when food they’ve ordered has arrived. Sourcing ingredients with other members should help keep costs down. 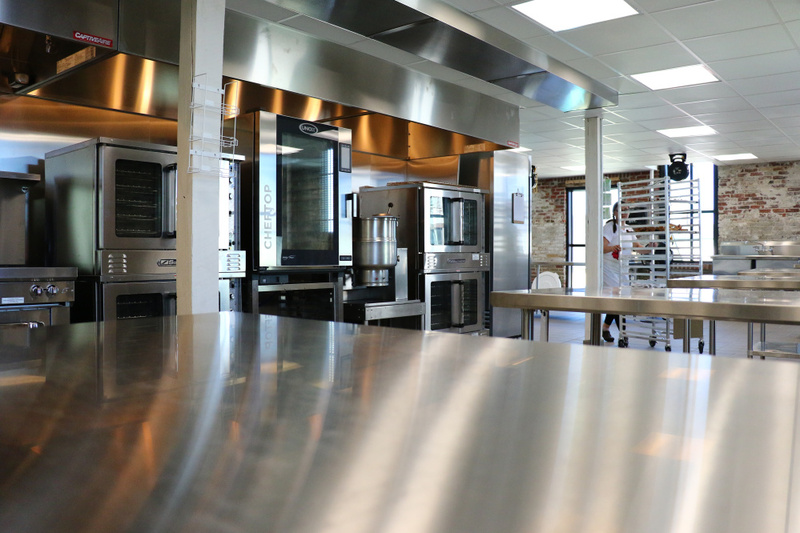 No other commercial kitchen in Maine offers the flexibility and state-of-the-art equipment that Fork Food Lab does, according to Shelley Doak, executive director at the Maine Grocers & Food Producers Association. Although such kitchen facilities are rare in northern New England, they are bubbling up all over the national landscape. In 2013, a group of business consultants produced an industry snapshot of kitchen incubators in the United States. That study, updated this year by American Communities Trust, a community development organization, showed that between August 2013 and March 2016, the number of kitchen incubators in the United States grew to more than 200, an increase of more than 50 percent. Of the 61 facilities surveyed in the study, 82 percent reported increased revenue over the past three years, and 84 percent are breaking even or making money. 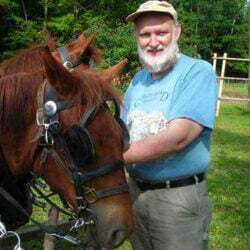 Before they teamed up to launch Fork Food Lab, Spillane was the CEO of Urban Farm Fermentory, where he managed the shared kitchen used by businesses such as Bomb Diggity Bakery and Maine Pie Line, and Holstein was the co-owner of the The Marshmallow Cart. Each had experienced firsthand the struggles involved in launching a food business. They raised money for Fork Food Lab through federal and local grants, private investors and a Kickstarter campaign that raised nearly $34,000. The partners credit a $100,000 USDA Local Food Promotion Program Grant with providing them the seed money they needed to get investors’ attention. 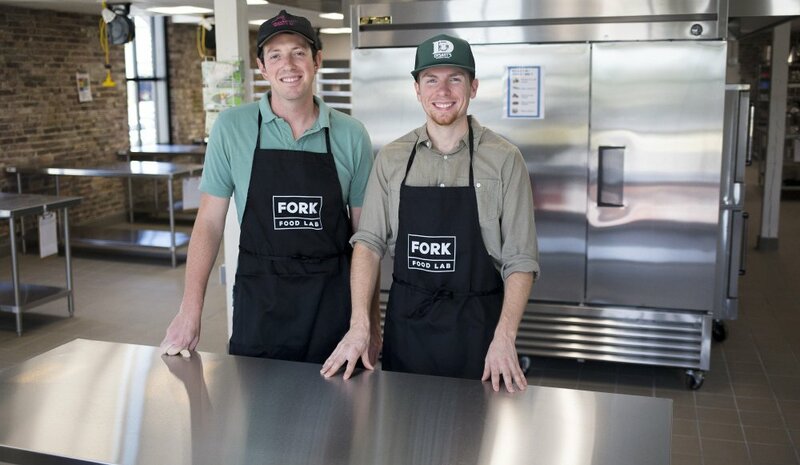 Anyone can sign up to use Fork’s facilities – food truck operators, restaurant cooks, caterers. The Portland restaurant Bruno’s has signed on to make its pastas and sauces in the space for retail sale. But Holstein says most of the current members are home cooks who hope to begin or scale up commercial production of products. 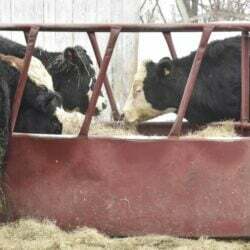 “They were getting large orders and they needed something immediately,” Holstein said. Myranda McGowan of Fayette has been making almond milk for herself and her family for about two years and now hopes to launch an almond milk business, The Whole Almond. Her milk contains just two ingredients: sprouted organic almonds and water. 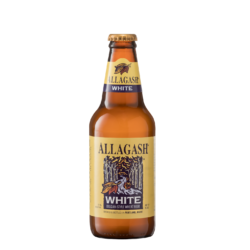 Eventually, McGowan wants to branch into flavors – chai-flavored almond milk for fall, blueberry or strawberry for summer. Another draw for McGowan and others is the idea of collaborating with fellow food producers. McGowan’s almond milk, for example, is already being considered as an ingredient in a new gelato flavor by Gelato Fiasco. Gelato Fiasco has a space next to the downstairs tasting room where its employees will be testing new flavors and equipment, holding gelato-making classes and developing new products like gelato ice cream sandwiches and cakes. Joshua Davis, co-founder and CEO of Gelato Fiasco, said it’s the company’s philosophy to deepen its relationship with customers, and attract new customers, through experiential and experimental endeavors. Fork Food Lab fits right into that, he said. “We’re kind of thinking of it as our Epcot to our Magic Kingdom,” Davis said. Last Thursday, the company was testing a new freezer/display case and experimenting with new flavors and different natural emulsifiers and stabilizers. Upstairs is a large kitchen filled with convection ovens, refrigerators, bowls, pans, whisks of every size and much more. Everything you see, Spillane says on a tour of the space, is owned by the lab, and its use comes with membership. Spillane said he came to realize the high cost of equipment when he worked at Urban Farm Fermentory. Spillane said he and Holstein put together the kitchen with the help of a consultant and equipment lists from other culinary incubators. One of their last purchases was a top-of-the-line oven that knows when a piece of chicken is done and automatically adjusts the temperature so it doesn’t overcook. For Morrison, who was using the shiny new equipment to prepare her hush puppies and black bean-and-corn cakes, the fancy oven was just icing on the cake. The Fork kitchen is now her happy place. Correction: In a previous version of this story, a photo of Christina Morrison of Have Chef Will Travel was credited to the wrong photographer. The photo was taken by Madison Gouzie of Fork Food Lab.